SOUTH PORTLAND, Maine - April 3, 2013 - PRLog -- The Institute for Financial Literacy, a nonprofit 501(c)(3) tax exempt organization whose mission is to promote effective financial education and counseling, is pleased to announce the winners of the 2013 Excellence In Financial Literacy Education (EIFLE) Awards (www.EIFLEawards.org), which were presented today at a gala ceremony during the Annual Conference on Financial Education in Orlando, Fla. Now in their seventh year, the EIFLE Awards were created to acknowledge innovation, dedication and the commitment of individuals and organizations that support financial literacy education worldwide. Follow the Institute for Financial Literacy on Twitter: www.twitter.com/FinancialLit and Facebook: www.facebook.com/FinancialLit. 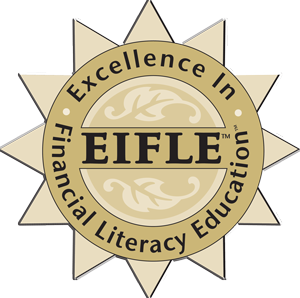 Established in 2007, the mission of the EIFLE Awards is to promote the effective delivery of consumer financial products, services and education by acknowledging the accomplishments of those that advance financial literacy education. The EIFLE Awards dinner is held each year during the Annual Conference on Financial Education. The Institute for Financial Literacy is a nonprofit 501(c)(3) tax exempt organization whose mission is to promote effective financial education and counseling. As a national authority on adult financial education, the Institute advances professionalism and effectiveness in the field of financial literacy by setting the National Standards for Adult Financial Literacy Education™, hosting the Annual Conference on Financial Education™, presenting the Excellence In Financial Literacy Education (EIFLE)™ Awards, maintaining the Library of Personal Finance™, and administering Fincert.org™, Council on Financial Education Accreditation™, Center for Consumer Financial Research™ and Center for Consumer Financial Education™. For more information about the Institute, visit www.FinancialLit.org or call 207-221-3663.